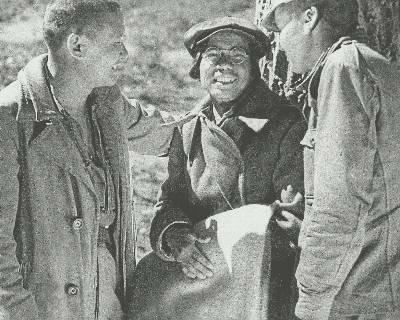 The first members of the British Battalion to be taken prisoner were captured on the 13th February 1937, the second day of fighting in the Jarama Valley. They were all members of Harold Fry's No. 2 Machine-Gun Company. 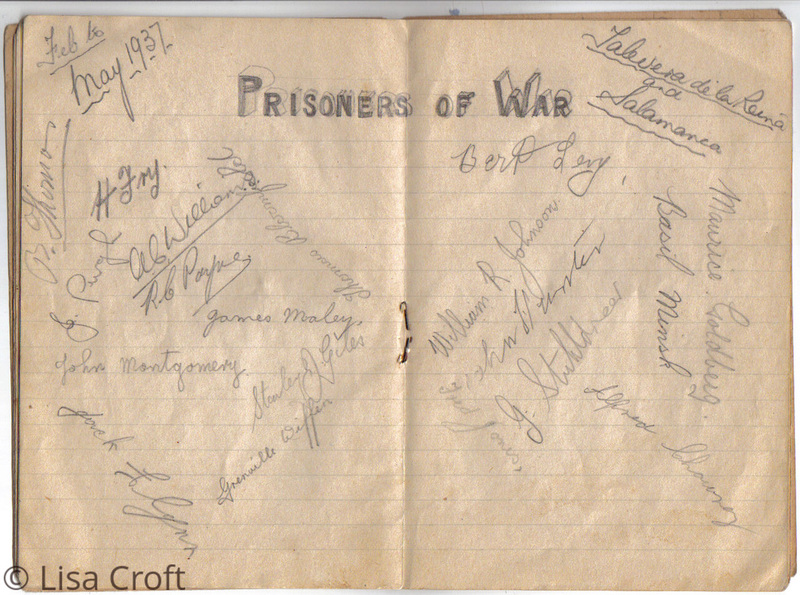 Autographs of the machine gun company. Nationalities of prisoners being held and list of ailments suffered. 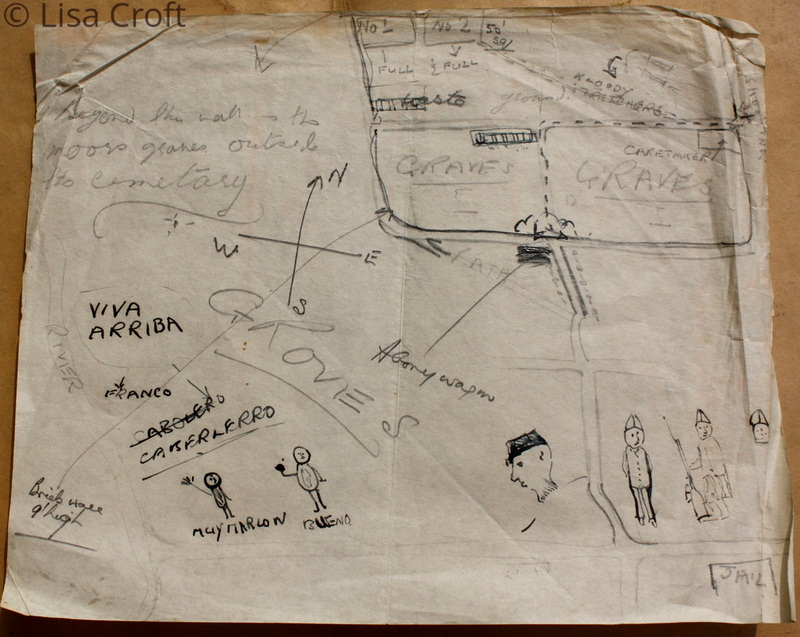 A Russian pilot was also a prisoner of war held in the same camp as AC. He was in a serious condition and did not expect to live. 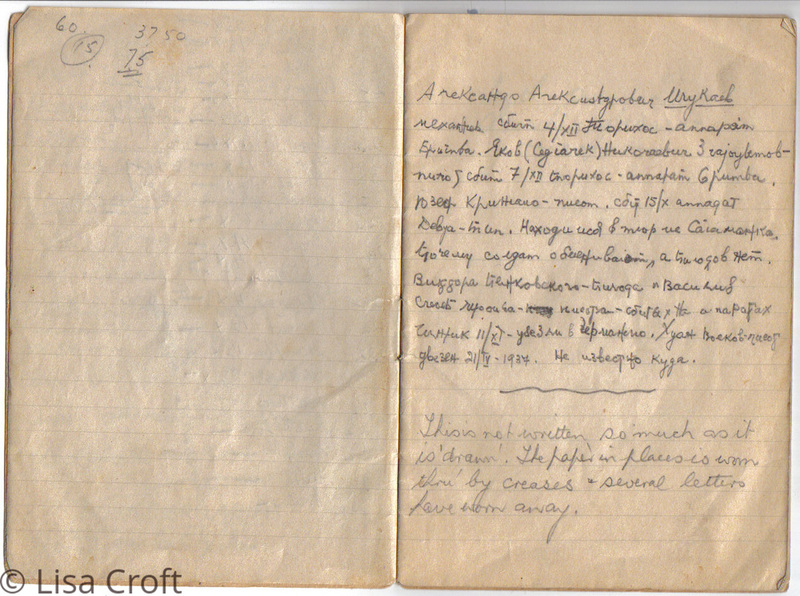 He asked AC to copy down in Russian this letter which he hoped would be passed on to his loved one's in the event of his death. 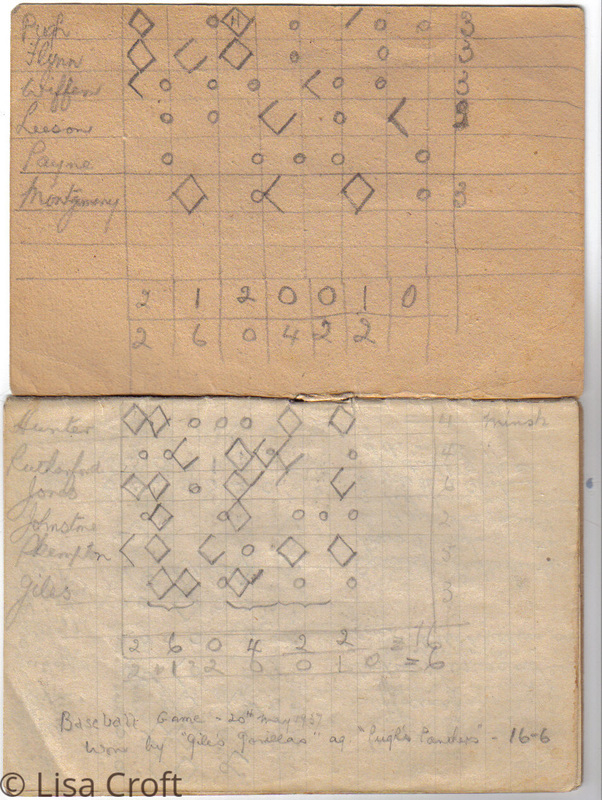 Scorecard from Baseball game from prison notebook. 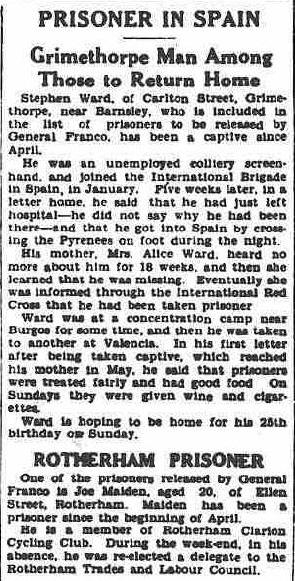 There were two main battles at which the International Brigades suffered a large loss of men to be taken as prisoners of war. 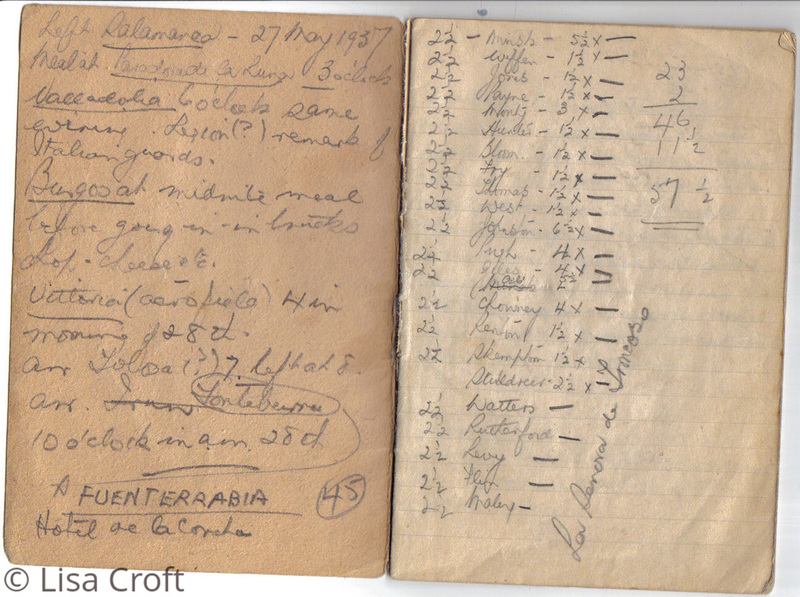 These were at Jarama on 13/2/1937 and at Calaceite on 31/3/1938. Over 100 men were taken prisoner in this action and they were then taken to Saragossa for interrogation, the others to San Pedro de Cardeña, near Burgos. 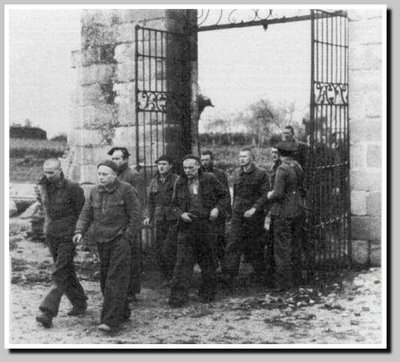 They were also joined by those who had been captured during the Aragon Retreats. 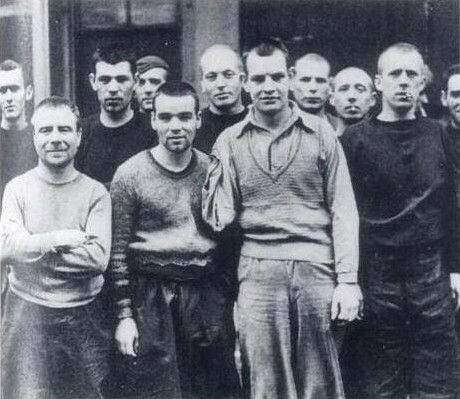 40 of these men were released in mid October 1938, but it took until between February and April 1939 for all of the men to be freed as part of a prisoner exchange scheme. 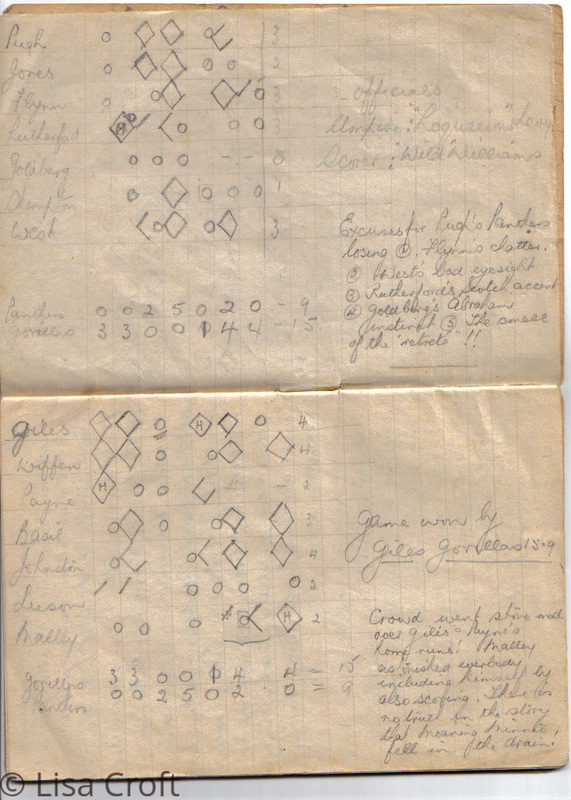 However three men still remained behind, Scotsman Frank Cameron, Irish Republican Frank Ryan and Welshman Tom Jones. 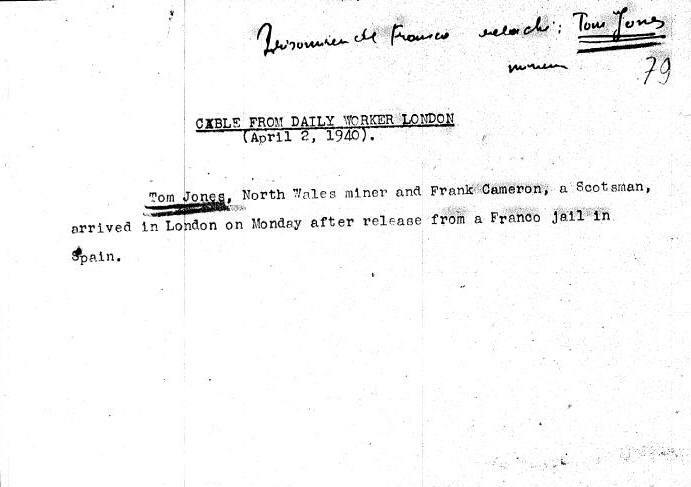 Jones was only released in March 1940 when a ransom of some two million pounds had been paid, Cameron was released with Jones. 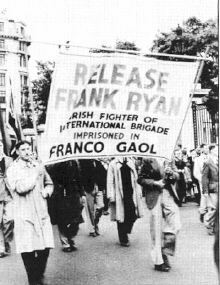 Ryan who was under sentence of death commuted to 30 years imprisonment, was eventually released in July 1940. He died in Dresden, Germany, June 10th 1944. 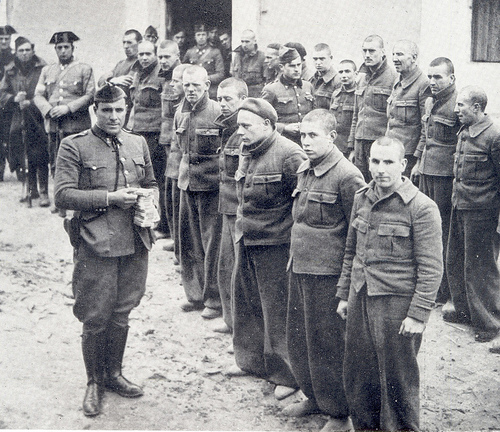 Members of the British Battalion at San Pedro de Cardeña Concentration Camp near Burgos. Frank Ryan is seated second left front row. Lincoln Battalion's Ed Johnson (L) and Claude Pringle at San Pedro. 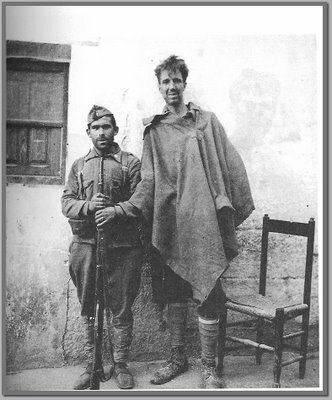 POW's in San Pedro de Cardeña. 27/10/1938. 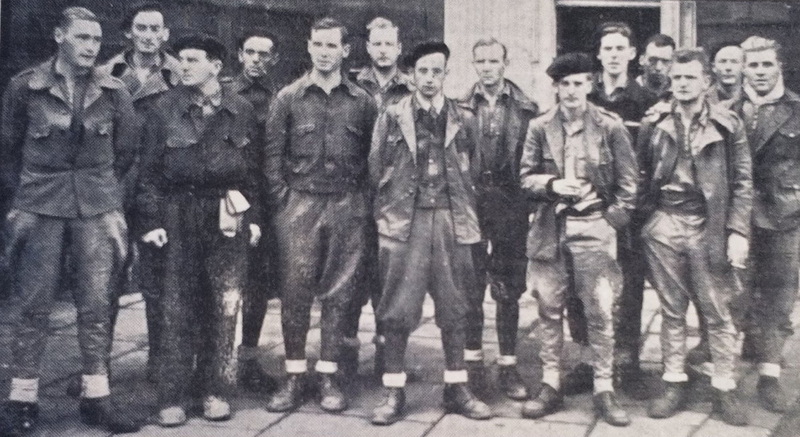 Men of the British Battalion after their return from captivity. They sailed home on the cross channel steamer the SS Worthing. 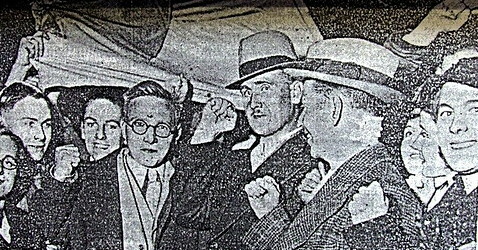 British POW's back in London: Back Left: Patrick Brady (Co Cavan) Louis Shine (Whitechapel) Joseph Farrell (Dublin) front left: unknown, Edward Hughes (Glasgow) Morgan Havard (Willisden) Daily Worker 09/02/1939. Thanks to Stuart Walsh. Returning on-board the steamer the SS Worthing to Newhaven, the men taken prisoner during the Aragon retreats, 27/10/1938. 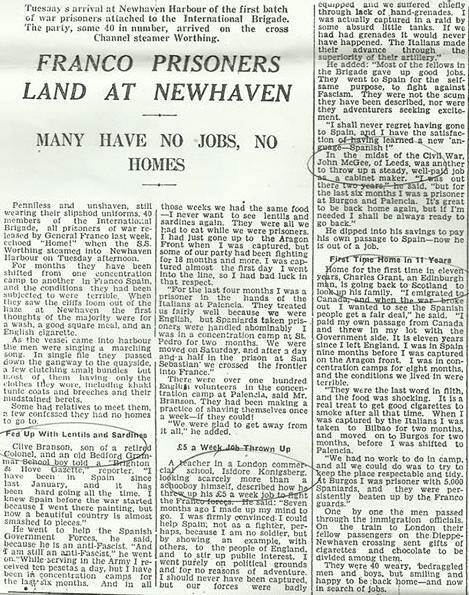 Nottingham Evening Post, Friday 28/10/1938. 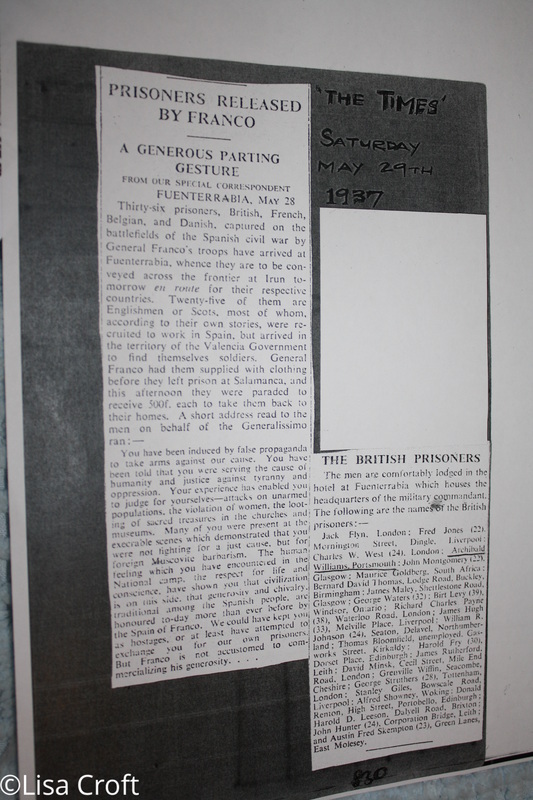 Brighton and Hove Gazette report the return of the captured members of the British Battalion. 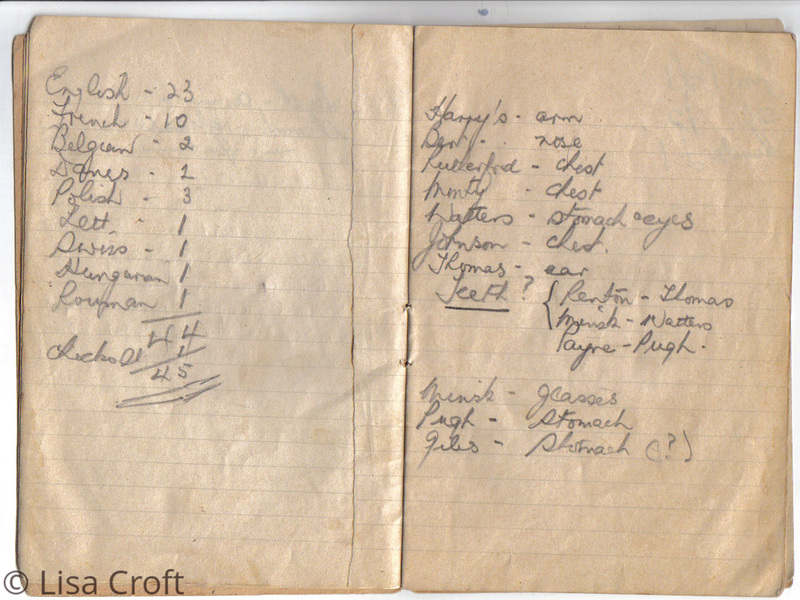 Saturday 29th October 1938. 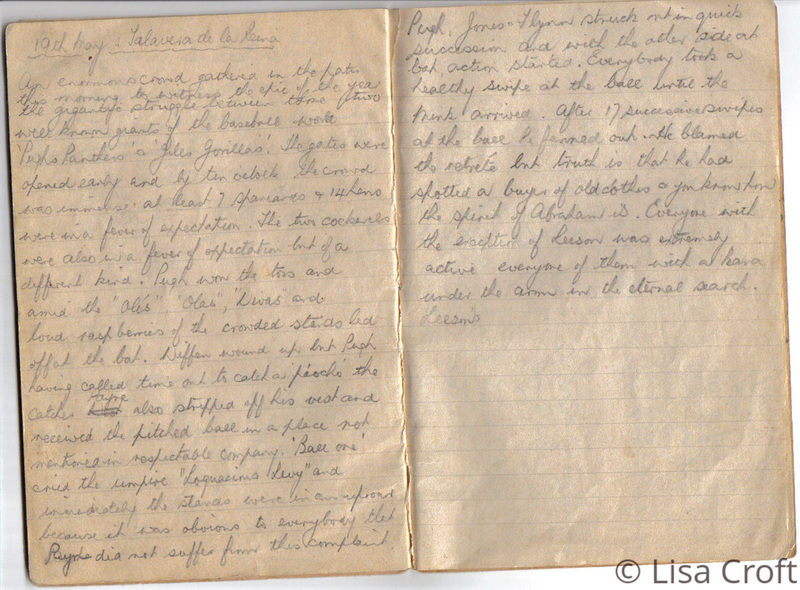 My personal thanks to Alan Lloyd for this article. 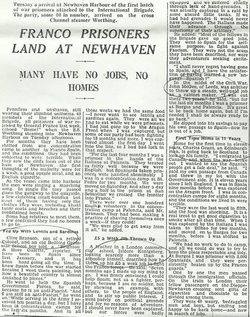 Yorkshire Evening Post, Wednesday October 26th 1938, reports the return of two local men held prisoner. Both would be on the SS Worthing. 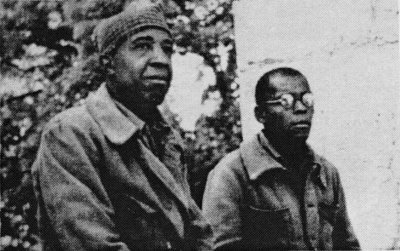 1938: International Brigade POW's at San Pedro de Cardena near Burgos. 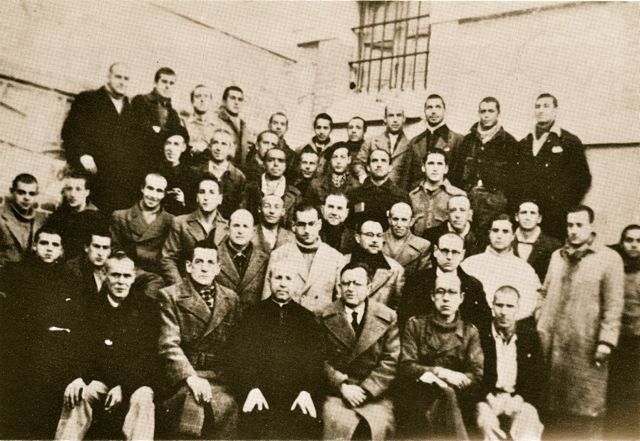 Frank Ryan and Tom Jones are seated in the second row in the centre. Daily Worker Cable announcing the return of Tom Jones and Frank Cameron.